The native plant movement really has been growing over the last 10 to 15 years; all the evidence points to it, with native plant nurseries reporting increasing sales and demand for catalogs and native plant sales expanding substantially. Natives are much more mainstream than they were 15 years ago. With homeowners, corporations, and municipalities more frequently planting natives and getting certified through our Conservation@Home and Conservation@Work programs, as well as having several other regional organizations adopt these programs, it was really feeling like a map of all certified locations would be really useful. Mapping is key to demonstrating the locations of existing native habitat, telling us how much is already in place, where there are gaps, etc. Chicago Living Corridors (CLC) was founded with this objective in 2015. Its mission is to promote the idea that private landowners can be instruments of change by creating smaller natural landscape corridors between larger protected conservation areas, and that these corridors will improve wildlife habitat, water quality and diminish the eï¬€ects of climate change. CLC became an affiliate organization under The Conservation Foundation's banner in the fall of 2018. With this arrangement, we are now expanding the map CLC created to add our existing sites with improved habitat and new sites as their habitat is improved and assessed. 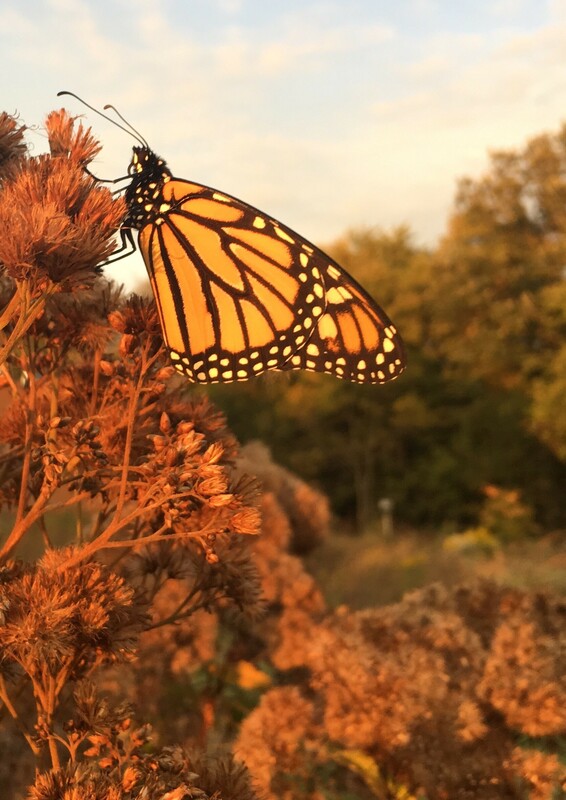 The goal of the CLS’s founders was to showcase existing and new programs in the Chicago area for assessing and improving habitat on private property. Representatives from our Conservation@Home program, Citizens for Conservation’s Habitat Corridors, McHenry County’s Wildï¬‚ower Propagation and Preservation Committee’s (WPPC) Mentoring Program and West Cook and Northern Kane County Wild Ones chapters’ outreach provided leadership. They were particularly focused on developing a comprehensive area map to show the “corridors” of improved habitat, and the possibility of expanding it in the greater Chicago area. 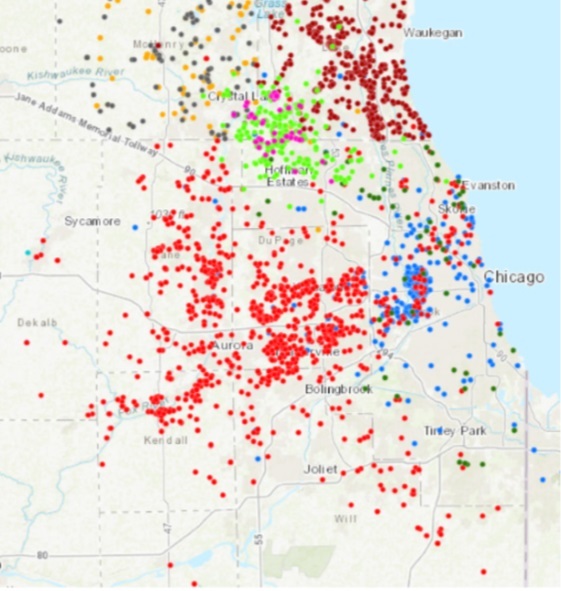 Volunteers created the website chicagolivingcorridors.org and a map which is populated with dots representing private properties that have incorporated the use of native plants and earth-friendly yard practices. Diï¬€erent organizations are indicated by colors representing the various organizations’ programs (the bright red dots are those certified through The Conservation Foundation). An additional emphasis on the website is useful resources for individuals who are interested in creating better habitat on their own properties. There has been much interest expressed by other organizations in the Chicago area with similar goals. CLC fills a void because it concentrates on the privately-owned native habitat (or gardens), which is an element that hasn’t been covered by other projects. The speciï¬c target is these unprotected, but natural, properties that provide connection between the larger protected lands. The focus of many other initiatives is on the protected properties (i.e. parks and forest preserves). Much of the future of native plants and wildlife depends on recruiting private property owners and linking these “stepping stone” habitats with the larger restored habitats on public and privately-owned properties. CLC intends to continue to promote improved habitat on private land in the Chicago area and maintain the chicagolivingcorridors.org website, knowing that as a joint effort we can expand the corridors and awareness of need for native pants, and have greater impact. This mapping information is so helpful in knowing where linkages can be created between pockets of habitat. Plus, it's just pretty cool to see the impact of these programs as they grow and spread across the landscape! We're honored to be partnered with Chicago Living Corridors!